What now seems like a long time ago I opened the Twitch front page and something about the autoplaying video caught my attention. Maybe none of the streamers I was following were on, maybe I just have a huge soft spot for tactics and card games, or maybe the pixel art grabbed me. Whatever it was that day I found myself thinking I need to try this game that I was seeing. But which faction should I play? The white armor dudes to me looked like the most ‘starter’ of the factions. Lucky for me Tempo Argeon happened to be one of the better decks at the time. 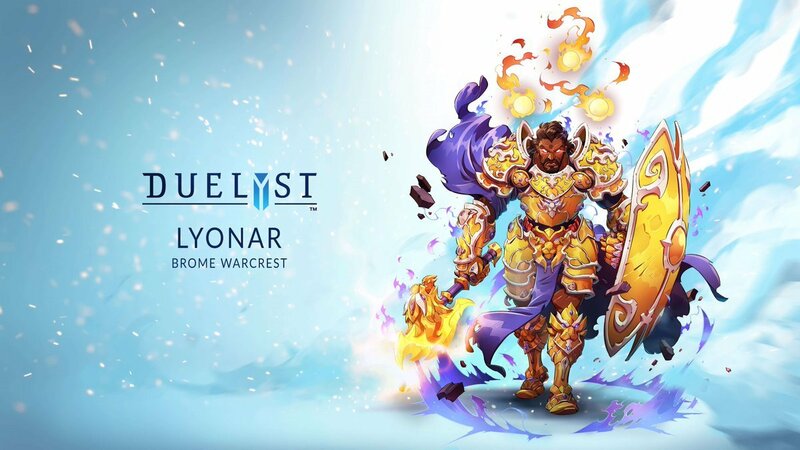 But even now I think Lyonar is a great faction to start out on; teaching and rewarding good fundamentals with a very minion-based faction that has tools for all stages of the game. Position your units well and they will pay you back in kind. Lyonar is the faction that most cares about formations: the specific positioning of their minions in relation to the general. The deck I played this month to S rank is an example of this; making use of the Zeal keyword and Marching Orders more specifically to empower my minions. And with it I’ve done one deck in every faction, I think I may use this natural breakpoint to put this series on hold. I hope to come back to it, but I have some other content I want to do, and these articles are very time-consuming the way I do them, necessitating 10 hours of play time and a similar amount again deck building, testing and writing. If anybody else wants to come and write budget articles here I encourage them to do so as I think this kind of content makes the game more accessible for novices and I hope that in some ways contributes to keeping the game active and afloat. Often I get to Diamond 1 and then when playing against other S rankers with full decks I lose a little bit here and there until I finally crack it. 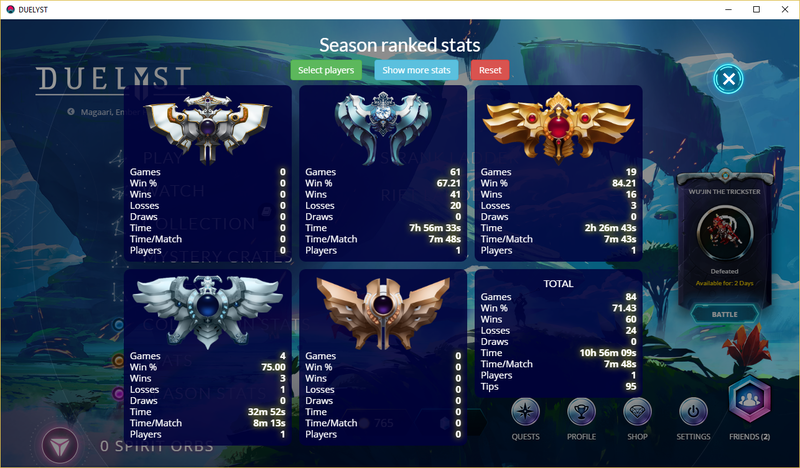 But this month I had a 9-game win streak straight from the bottom of Diamond 2. Though I was worried when I saw Powinthekissa was my gatekeeper, luckily he was playing an experimental deck and drew pretty poorly. I also chatted with him a little about the deck afterwards and thanked him for his feedback, which of course was too late to try out. At any rate off the back of that winstreak I ended up with one of the better records for this series, hitting our target in 60 wins. This month I really wanted to try building around Marching Orders. It’s one of those cards that certainly looks powerful and every now and again you hear that somebody has a deck with it, but most of the time when you look at the card pool for building a competitive deck you’d rather run a different minion set that are consistently strong without having to draw some specific spells to empower them. But looking at the rarity of our Zeal minions almost all of the good ones that we’d want to play are rare or below. I think this makes it a perfect archetype to explore on a budget. Marching Orders is a very powerful effect, but it demands a lot to make best use of it; not only in the deckbuilding stage but also during gameplay. You need to be running a critical mass of zeal minions and then you have to manipulate boardstates where it is good positioning to have minions ahead and behind you. It’s no good just playing it because you can, that’s how you end up with minions out of position and not contributing to victory, so think before you act. But if you do find an opportunity to cast it then the spell immunity dodges a good amount of removal and the stat buffs make your minions more dangerous and tough to handle. At any rate to make good use of this card we’re going to play Brome as our general, so that we have a way for it to reliably go off by casting BBS. Fill out the rest of the deck with the best Zeal minions and support we have access to, then finish off the deck with the best remaining budget cards. We should end up with a solid tempo list that has a couple of juicy power plays. Let’s start with the reason I built this particular archetype: Marching Orders. In the right situation it can give 2 of your minions spell immunity and buff up their offense and defense. However, it compromises your positioning and there are ways to answer it, or take advantage of it: Lightbender, Sunstrike, Makantor, Sandswirler, EMP and so on. This is why earlier I brought up how crucial positioning is for this deck, and forethinking too. It should be your goal to end up playing around these situations as much as possible. Particularly for Lightbender and Makantor there are a lot of positions you can do to lower the impact of these high value plays. For example you needn’t always end the turn in the marching formation. If a minion starts in front or behind you then play its counterpart, Marching Orders, and then move your active minion and general giving a plethora of possible end of turn positions. You can also use the enemy general, locked down with a provoke, to occupy the space they would ideally play their counter onto. Finally, there are a couple of minions that are strong enough with the buff that are worthwhile playing Marching Orders to just one target. Which in a way brings us to our next card, Afterblaze, which is similar to Marching Orders, in that it is a buff card with some Zeal-specific interaction, though in this case it is just drawing a card, which to be fair does bring some much needed draw power to the deck. This card actually does combine quite well with Marching Orders. When your opponent does not have an answer to the spell immunity it creates quite a monster. This card is a reasonable buff to slap onto any Zeal or Provoke minion, makes Brome’s BBS much more impactful, replaces itself and can be used to push damage and fortify the board, a solid roleplayer card. So this is our suite of Zeal Minions (add Crestfallen too). There’s something for every point of the early/midgame curve, and also I think it’s important to have a good mix of front line and back line minions. As I noted earlier you don’t want to be playing your Silverguard 4 spaces away from the opponent just so that you get a second target on Marching Orders, but you do want your Solpiercer or Gryphon to be 4 spaces away. Windblade Adept is a very well-statted 2 drop. It’s nothing flashy but makes for a very acceptable opening play, and even later in the game is fine to combine with Marching Orders or Afterblaze. Not too much to say here, it trades well and can help you get ahead early, which you’ll need to do, since the deck doesn’t have too much in the way of lategame scaling. Silverguard Knight is just an incredibly efficient card, great stat line, and Provoke makes it a great tool defensively, but also for keeping the enemy general locked down so that you can get to work on their HP. There have been a couple of times where I can say that I’ve been impressed by how quickly a buffed Silverguard ends the game. Using Provokes well is a key skill, make sure you try not to just throw these guys away, I actually recommend watching TheTacticalGmr’s Provoke Basics Video if you’re not already very comfortable positioning your provoke minions. Next up is Gryphon Fledgeling, this is part of our backline duo, minions that we want to play behind us. As a 5/3 with flying it gives us a bit of critical extra reach, letting us clear certain backline threats or finish a low HP opponent. A big reason I am running this card is because of it’s potential as a play alongside Holy Immolation, the flying lets you get the perfect position for it, and you get to attack the enemy general with the Gryphon, and heal it back up while dealing a truckload of damage. This is the minion with the highest attack stat in our deck and when used right can do excellent work to pressure enemy backline or general’s HP directly. Solpiercier is our other minion that fits perfectly as the rearguard in our Marching formation. I initially was unsure how Solpiercer would perform, but I ended up quite liking it, there are definitely some games where you are too pressured to play a 4 mana 3/4, but it receives the buffs in the deck incredibly well and can take over a game for sure. One of the things I definitely valued about it is that it gives us an alternate path to victory than simply getting up close and personal. Sometimes games go south, your opponent has 4 obelysks nearby them and you realise you left your Plasma Storm in your other faction’s jeans. You can no longer viably win the game by brawling it out where you are (yes my deck has no hard removal and no dispel). Buffing Solpiercer with Marching Orders can give you a unit that can close out the game pretty quickly against a deck that starts generating ridiculous value that you can no longer overcome in close quarters. Finally, Suntide Maiden is our Zeal unit, again, this is a really incredible recipient of the buffs, as it’s healing means that it needs to be cleared in one turn, but the spell immunity and/or HP boost make this more challenging. That said there are ways around this, Dispel and the like, so if you suspect your opponent may be able to answer it then be careful about putting all your eggs into one basket. So the next thing to discuss is a big one, Holy Immolation is the big spirit cost in this deck, but for any Lyonar players it’s one that’s worth the investment, the 4 damage area of effect is great in many scenarios. The heal is a nice bonus and is often relevant, but it’s not why we play the card. The card is certainly good enough to cast even on a freshly played minion, such as Bloodtear Alchemist. Which is quite playable in it’s own right, the 1 damage ping being pretty useful in a wealth of scenarios, but as a 1-mana minion it allows us to cast Immolation at a spot of our choosing as early as 5 mana. Immolation has been a Lyonar staple from the beginning of the game and these 2 cards were pretty easy for me to include. That said, at this point we’re pretty much out of Spirit, and can’t even include all 3 Immos due to the restriction, I’d recommend crafting the third when you can afford it, but we’ll soldier on for now. Next when I look at where the deck is at I see that we are short on 2 drops to serve as our openers as Player 1. Bloodtear Alchemist can serve in an emergency if we really need to ramp to 4 mana, but we’re really looking for 9 or so cards that we’re happy to open with. Luckily Azurite Lion is one of the best 2 drops in the game, celerity is a really strong keyword that early in the game allows you to position more effectively and engage from outside the enemy range. Celerity also happens to be exceptionally good when paired with stat buffs, letting you get in a lot of damage in a quick span of time. If the enemy ends their turn in range of a Lion, a quick Afterblaze let’s us deal 8 damage and end the turn with a 4/3 Celerity that threatens to do the same again. Sun Wisp isn’t the best opening play, but as I said when discussing Afterblaze, the deck is lacking on draw options, so having something that replaces itself is a nice bonus, this is pretty much a filler choice, it’s a nice common card that you can play early, you’re not sad to draw late and can occasionally position an Immolation, receive a buff or trade into the enemy units, pretty acceptable. We’ll round out our minion suite with a couple of budget all-stars, Primus Shieldmaster adds to our provoke lineup and is a good complement to Silverguard, doing the same job, but preserving the statline even when out of zeal range. And can help to pile on the pressure when you’re already successfully provoking the enemy. Dancing Blades is a well-statted minion that adds a little bit of removal to the deck, this card was by no means crucial or a star in the deck, but it fills it’s role and is good value for the low spirit cost. Tempest has a little bit of anti-synergy with some of the deck, which looks to get ahead on board with lots of cheap early minions, and if you do it after a marching Orders it undoes the HP increase. That said it brings plenty to the table, it’s a flexible burn spell that for sure helps in swarm matchups, clears certain backline threats, such as ubiquitous Wanderer buffed eggs or ridiculous Progenitor turns. It can be very useful to come back on board or finish a game by clearing blockers and/or adding face damage. Near everything in the deck’s gameplan starts with having some minion presence on the board. The deck has a lot of minions with good statlines, so get them out early but don’t throw them away. Most of the time you’ll want to get up in their face with Provokes early and start brawling, but be careful you don’t just charge in blindly and get yourself killed. You can win games by playing slower or relying on your valuable 4 drops with Zeal. In general though, getting out ahead on board early is what you want to be going for. This makes your follow-up Provokes that much more powerful. If you can gain board control and be the one forcing the opponent to respond the deck will feel a lot smoother. There’s only a couple of plays to dig you out of a hole, but the deck is pretty good at getting you there early. Against a lot of decks it’s good to look for opportunities to play Marching Orders, it really can win games. It’s not exactly a low tempo play, but it can be hard to find situations where you have the mana, tempo & board to cast it. If looks dubious then consider replacing it. It’s great when you are not under pressure, when you’re ahead or have a good amount of space, but if you have a dangerous threat staring you down and the stat buff doesn’t help you to answer it it mightn’t be ideal unless you have no other recourse. Let’s take a quick look at an opening replace decision, here I am player 2 vs a Maehv, which means it’s probably either a Xor’xuul deck, or a Lurking Fear midrange deck. Either way I’m pretty likely to want to be the aggressor. In this hand it’s pretty clear that I want to keep Gryphon as it looks like it’ll be my opening play. Afterblaze is also pretty good to hold onto, in this situation it could be a good turn 2 play, and as I mentioned before it replaces itself at worst. It’s a similar story with Sun Wisp, taking a tile and playing both the Wisp and Afterblaze seems pretty reasonable if we don’t draw into something better. These Bloodtears might be low impact, if I didn’t have 2 cards with the word ‘draw’ in them I’d certainly ditch one without much consideration, playing 2 bloodtears early will likely put us in topdeck mode way too fast. Unless they’re getting excellent value they could be a liability, I feel the best target may be A Furor Chakram, but that’s far from a guarantee, so I will replace one after some consideration. Keeping one in hand is nice if I happen to draw into Immolation, and since I am considering holding onto both my cantrips (Wisp and Afterblaze) I’m not quite so concerned about running out of cards. 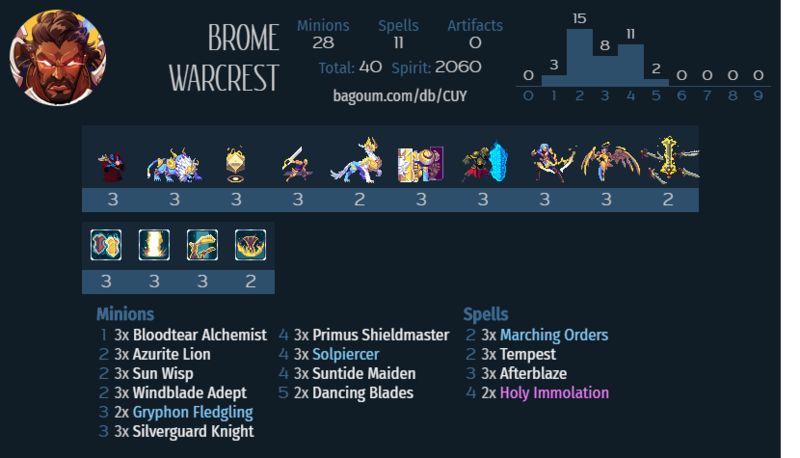 In the end I replaced only a single Bloodtear Alchemist, but I wouldn’t fault replacing another card (except Gryphon) to try and find some of our more impactful plays. I’ll include the game against pow, who is a most excellent player. It was the final one to get me into S rank. It’s not the best game, but I think it does an okay job of showing not only how the deck can close out, but also how it might be weak to the kind of value generation he was running. If he got a better draw with an earlier Owlbeast it could have looked very grim for me. Trinity Oath is just an incredibly efficient card, you could also put Spelljammer in this slot, but the healing really is quite nice and being completely one-sided helps out too. If you’re a Lyonar player then crafting this wont be a mistake. Playing some extra draw will give you a bit of longevity into the late game and refill your hand for a second wind. Currently the deck has 0 hard removal, you can get completely overwhelmed by value engines and statsticks. Aperion’s is Lyonar’s most bombastic hard removal and almost always get big value or saves your bacon, there’s not much downside besides the cost, it’s not a perfect fit for the deck as it currently is, being a little slow, but it will definitely do work and you can definitely tune the deck back a bit to have this slot right in. So as I mentioned above, this might be be my last budget article, I may revisit this series again in the future. 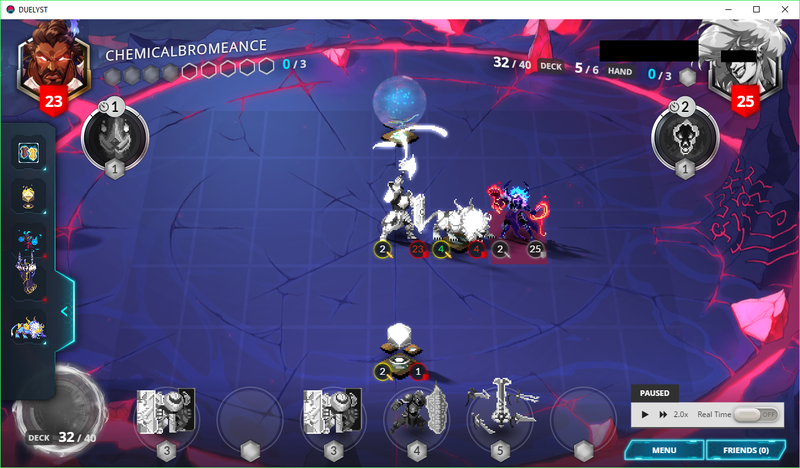 Thanks for everybody who read, I put a lot of work here, and I intend to keep writing more Duelyst content in the coming months, just something different for a bit.